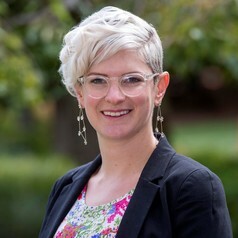 Jessica Kaufman is a postdoctoral researcher at the Murdoch Children’s Research Institute and the Centre for Health Communication and Participation (La Trobe University), and an Honorary Fellow of the University of Melbourne. Her current research projects include designing and testing new interventions to improve uptake and acceptance of maternal and childhood vaccines; vaccine program evaluation; and developing a database of instruments to measure vaccine-related attitudes, knowledge and decision-making. Jessica has a background in communication studies, which she studied at Northwestern University in Chicago. Her PhD research, completed at La Trobe University, focused on improving the way communication strategies to promote vaccination are evaluated. Jessica is an editor and author with the Cochrane Consumers and Communication review group, which publishes systematic reviews on health communication and participation interventions.